Every farmer knows agriculture and food production is regulated very strictly. Due to the nature of your farming business, you need specialist advice, which combines aspects of business and private law. If you need legal help regarding any aspect involving farming and agriculture law, complete your free legal enquiry form on the left, or click here. When making any decisions regarding a farming business it is important to consider the implications on the business as a whole, such as the effect on support payments, tenancies or the overall tax position, to name just a few. That's why it is so important you find a legal firm that specialises in helping the farming community. Sales and purchases of agricultural and rural property including estates, farms, farmland, woodland, country houses and equestrian properties whether by auction, private treaty or tender. Residential tenancies and farm cottages including agricultural occupancy conditions and certificates of lawfulness. Single Farm Payment Scheme, Environmental Stewardship and other agri-environmental and woodland grant schemes. Farm business restructuring including limited companies, partnerships, joint ventures, share farming and contracting arrangements. Access to land including private rights of way, public rights of way, commons and village greens. Buying, selling and finance for farms, agricultural land, country houses and estates. Farm business tenancies and agricultural holdings advice. Agricultural partnerships and business structures for farming enterprises. Telecommunication leases and utility wayleave agreements. Farmers and landowners, together with the food industry, face many and varied challenges in today's world. Farming and agriculture lawyers provide effective legal advice tailored to meet the needs of all those whose livelihoods are based in the countryside or are concerned with food production. Lawyers can act on the acquisition and disposal of agricultural property and country houses, as well as tenancy agreements, taking into account relevant planning matters, payment entitlements and quotas. Agricultural land is often affected by infrastructural projects and we have experience of compulsory purchase, highways, telecommunications and energy projects including wind farms and pipelines or pylons. Lawyers can deal with agreements associated with mining and landfill together with environmental considerations. Of particular concern to farmers and landowners are tax efficient ways of passing on property to the next generation. Farming and agriculture lawyers can have highly regarded private client advisers who can put in place the necessary wills and trusts to deal with inheritance and capital gains tax issues. Lawyers can advise on structures appropriate to individual businesses, whether partnerships or companies. Rural areas suffer from a variety of disputes, some of which are unique to the countryside. Farming and agriculture lawyers can act on adverse possession, boundary, right of way, grazing, environmental and other disputes. Providing legal advice to agricultural clients requires the integration of specialist property, business and private individual expertise with practical experience of the rural sector. Penningtons is uniquely placed to offer such services. Farmers need to know about Australia’s national environment law as some agricultural activities may need federal government approval. This could be in addition to state or local government approvals. National environment law protects matters that are of national environmental significance. New farm activities, such as land clearing, may require approval from the federal environment minister under national environment law. You should check state and local governments’ approval requirements. National environment law only applies to matters of national environmental significance. You can check if there are likely to be protected matters on or near your property by contacting the department’s environment liaison officer or by using the environment reporting tool at www.environment.gov.au/farming. Do I need federal approval for all my farming activities? No. You can continue routine farm activities without approval if they began before national environment law was introduced in July 2000. Only new farm activities that are likely to have a significant impact on a protected matter may need approval. Will my activity have a significant impact? Whether or not the impacts of an activity are significant depends on several factors, including how long the impact will last and the sensitivity of a nationally protected matter. The environment liaison officer can give you advice, and guidelines are available at www.environment.gov.au/epbc/guidelines-policies.html. If you are unsure, you should check, otherwise you may accidentally break the law. If you think your activity could have a significant impact on a protected matter, or you just want to be certain that it won’t, you will need to refer your actions to the federal environment department. A referral form is available at www.environment.gov.au/epbc. Once referred the department will notify you within 20 business days whether or not approval is required, and if so how it will be assessed. You can contact the environment liaison officer for help or a more detailed explanation of the process. If you think you may have broken the law, it is best to contact the federal environment department as soon as possible to explain what has happened. The department may be able to work cooperatively with you to repair any damage to the environment. The department investigates all alleged breaches of the law and takes compliance very seriously. Not knowing the law or your obligations under it is not an excuse. There can be significant penalties for non-compliance with the law including gaol terms and penalties of up to $5.5 million. There are several programs to help farmers and others manage our natural resources and nationally protected matters, such as threatened species and ecological communities. You can contact the environment liaison officer for more information. The department has an environment liaison officer, who is outposted at the National Farmers’ Federation, specifically to help farmers. The environment liaison officer is available to give you free advice on matters relating to national environment law and how it applies to your farm business. There is also information, including examples of compliance cases and farm activities that have been referred for approval at www.environment.gov.au/farming. livestock: warranties relating to the sale of animals for breeding, check-off payments for marketing purposes, sale requirements, etc. unfair insurance coverage: For example, protecting farmers from asteroids and hurricanes in North Dakota, but providing no real value and coverage for legitimate concerns such as flooding, extensive snowfall collapsing farm buildings, etc. If you need legal advice regarding Farming and Agriculture Law, then please complete your free legal enquiry form on the left, and we will put you in touch with a Farming and Agriculture Law lawyer nearest you, who can help you with Farming and Agriculture Law. Our free legal enquiry service for Farming and Agriculture Law extends to all suburbs throughout Australia. Managing a farm is an increasingly complex task. .. rural communities, such as lawyers,students of agriculture and farm management, as well ..
and regulations .. keep powering on · $9.5 million ENERGEX logistics depot opens in Larapinta · Another milestone for Hervey Bay's community solar farm .. Refer to a range of professional service providers, including accountants, lawyers, agricultural advisers, farm succession planners, social counsellors and .. Farmers need to know about Australia's national environment law as some agricultural activities may need federal government approval. New and amended laws on ComLaw that are attracting significant community .. Agriculture, Fisheries and Forestry .. Attorney-General's · Human Services .. Farmers need to know about Australia's national environment law as some agricultural .. Do I need federal approval for all my farming activities? .. addressed to Commonwealth Copyright Administration, Attorney General's Department, Robert ..
, Fisheries and Forestry; Attorney-General's; Defence; Education, .. (GRDC) is encouraging farmers considering fumigating grain stored on farm to do it wisely ... Government to Amend Law to Allow ATO to Hold Refunds Pending .. Successful new operations need access to sound financial, legal, and .. The kind of marketing that makes a small-scale farming operation profitable .. Neil Hamilton, an agricultural lawyer in the USA, reports that the very ..
Tough new puppy farm laws are in force. Tuesday, 03 January 2012. From the Minister for Agriculture and Food Security. The Victorian Coalition Government's .. CARBON CREDITS (CARBON FARMING INITIATIVE) BILL 2011 .. addressed to the Commonwealth Copyright Administration, Attorney General‟s .. in this document, to the extent permitted by law, the Commonwealth .. Further information about the Carbon Farming Initiative will be made available as the ..
You are here: History of Agriculture > Agricultural Legislation .. The quality of farming inputs such as fertilizers, chemicals and veterinary medicines have .. A complete array of current legislation is available from the Attorney General's .. Australian Law Librarians Association (SA Division) at http://www.alla.asn.au/sa/sisal/. Submission: Carbon Credits (Carbon Farming Initiative) Bill 2011 ..
Australian Centre for Environmental Law. Canberra .. Farming Initiative (CFI) Bills and the Australian National Registry of Emissions Units Bill 2011. .. years. Our network of lawyers is amongst the world's most diverse and .. It provides funding for specific proposals for farm and business financial training developed by third parties and programs supported by banks, agricultural ..
a guide for farmers and rural communities - Attorney-General's .. The third National Farm Crime Survey widened the scope to include farming .. One difficulty confronting law enforcement authorities and others trying to ..
Australian Government: Attorney-General's Department Achieving a Just and Secure Society .. and Torres Strait Islander Studies (AIATSIS) to research law, policy, .. National Farmers' Federation (NFF) [PDF 17KB] · National Native Title .. representatives from the mining, agricultural and fishing industries ..
refer clients to a range of professional service providers, including accountants, lawyers, agricultural advisers, farm succession planners, financial planners, ..
What to Expect from Living in Rural Victoria - Department of Primary ..
Agriculture is continually developing to encompass much more than a traditional notion of .. Commercial farming can be noisy, dusty and odorous at various times of the year and .. Resolve disputes by talking to your neighbours, not your lawyers. .. Department of Primary Industries · Rural Law Handbook .. Farming and nationally protected grasslands and woodlands of the ..
Rich Text Format - The national environment law is not about stopping farm business or regulating day-to-day farming activities. Rather, it protects Australia's unique plants and ..
Local farmers and their families have been invited to get the latest information .. "Land tenure, conveyancing, stamp duty, wills, power of attorney, .. Hall and the Cowra Agricultural Research and Advisory Station with a light .. Problems with current animal protection - sentient animals slipping ..
Australian Government - Department of Agriculture, Fisheries and Forestry - Biosecurity .. Australia's state-based animal welfare laws appear to reflect community beliefs .. Farm animals – up to 500 million a year in Australia - are provided with .. The formation of a number of lawyers groups concerned with animal welfare ..
parliamentary privilege as provided under relevant Australian law. .. people get into farming include they may have grown up with it. .. the one or two people who wanted to become lawyers or doctors, and you only needed ..
"Farming Profitably in a Changing Climate" - Australian Natural ..
Report from the "Farming Profitably in a Changing Climate" workshop and future .. cover JPG farming; profitably; climate; agriculture; industry theme Agriculture .. to the Commonwealth Copyright Administration, Attorney General's Department, .. or data set out in this publication to the maximum extent permitted by law. Assistance, rebates and loans from other government departments ..
QRAA; Department of Agriculture, Fisheries and Forestry; Centrelink .. streams common in agriculture due to climatic and market variability. .. Rural Law Online has a number of drought support initiatives. 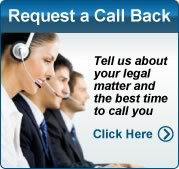 All Australians can ask legal questions and get a response from a lawyer in their state or territory. Attorney General's Department .. or posted at www.ag.gov.au/cc. .. democracy and the rule of law, equality under the law, equality of men and women, equality ..
Agriculture and Food Security Minister Peter Walsh has recognised the contribution Victorian farmers make to the country's economy this ..
Bills Digest 51, 2011-12 - Bankruptcy Amendment (Exceptional .. This Digest does not have any official legal status. .. opportunity for farmers in significant financial difficulty to leave farming before their .. According to the submission by the Department of Attorney-General, where a person ..
-General Robert Clark today announced the appointment of Simon Cooper to the .. Victoria's Law Handbook Online will continue to provide free legal ..
.. integrity of carbon offsets generated under the Carbon Farming Initiative. .. environment and development lawyer at Minter Ellison in Sydney. agricultural purposes means grazing, dairying, pig-farming, poultry farming, viticulture .. owner by or under any other Act or law or by an agreement. (4) Notice ... (a) an Australian lawyer, who is to be the presiding member, ..
Rich Text Format - Native title is a complex area of law that is difficult to access for financial .. in both the pastoral and agricultural regions in Western Australia. 17.
Business Contracts · Dispute Resolution · Hiring a Lawyer .. The Farm Water Rebate Schemeprovides funding for eligible projects that aim to reduce .. supply deficiencies on farms in the dryland agricultural areas of Western Australia. .. within the rules and laws set by a Constitution, the Corporations Act of 2001(Cth), and ..
Mrs. Suzanne M. Ryder, PO Box 404, Mt. Beauty, 3699 Mr. Paul ..
fourdescendants are still farming parts of the original holdings with another two members .. lost by a daughter-in-law leaving is still very much an issue. .. from a third party such as accountants, lawyers etc., then part of .. This is particularly so where a farming family's home and livelihood is involved. .. As a Law Foundation of NSW Travelling Fellow, I researched .. In addition to being a mediator I work as a Solicitor/Partner in a Legal and Accounting firm in ..
and Food Security Minister Peter Walsh is encouraging those with .. The Victorian Coalition Government's new laws to stamp out illegal puppy farms ..
"The Victorian Government Solicitor is one of the most senior legal officers of the government and is looked upon to provide authoritative and ..
SUBMISSION TO DEPARTMENT OF PLANNING AND LOCAL ..
permanently under farming land, but we can do something in the Willunga Basin. ... The Missouri Agricultural Law Centre summarises as follows: .. How those acts vary is probably of more interest to a lawyer than a farmer, but here are .. The farm management deposits (FMD) scheme commenced on 2 January .. tool to help farmers deal with uneven income, common in agriculture because of .. If you merge your deposits into a single deposit, tax law regards these .. Copyright Administration, Copyright Law Branch, Attorney-General's .. Coalition restores community's rights on wind farm planning .. I have already given planning control on wind farms back to local .. Amendment VC82 also establishes no-go zones for wind farms in line with .. Culminating compassion without creating chaos - community ..
Australian Government - Department of Agriculture, Fisheries and Forestry - .. in agricultural systems saw small, family owned farms transformed into large, .. Animal law groups that have been established include Lawyers for ..
Agriculture brings separated twins together - August 2011 ..
.. Relocating wombats with Rebecca · Lawyer dons work boots · Be a smart .. Law Week's arresting activities · Boomerang stays home .. Luke grew up on the family sheep and cattle farm at Tamworth, .. an agricultural career gain industry experience and qualifications as part of their secondary schooling. Northern Territory cattle production and national environment law ..
www.environment.gov.au/epbc/guidelines‑policies.html#guidelines. Are some activities exempt? Farming activities that began before national environment law ..
Synergy Farms, Yarrawola; KellyAnne Semple, Agricultural Communities .. Lawyer, Albury Wodonga Community Legal Service; Doug James, ..
Administration, Attorney-General's Department, Robert Garran .. on interventions in the law and justice sector, .. out different functions in the farming systems. On 28 June, 1990, the Standing Committee of Attorneys-General (SCAG) placed the question of .. jurisdiction with expertise in criminal law and criminal justice matters. That ... substances used in medicine, industry and agriculture. ... that the pressures which might drive a financially imperilled farmer to grow a cannabis ..
Australian Farm Surveys Report 2003, Australian Bureau of Agriculture Resource .. influence strategies of law enforcement in rural New South Wales, Australia. PERSONAL PARTICULARS MAIN STRENGTHS EDUCATION .. Substantial experience and technical expertise in land law (including State Land law) land valuation law .. This includes experience in the field as an Agricultural. Extension Officer and as a lawyer dealing with a range of individual matters. .. interests of farmers/graziers on the one hand and environmentalists on the other. PILOT OF DROUGHT REFORM MEASURES IN WESTERN ..
2) Building Farm Businesses Round Two Grant funds are limited and not all .. availability and a changing climate, on agricultural productivity and the farm business, while reducing pressure on .. with relevant laws and regulations. .. Lawyers. • Local government CEO's and Deputy Chiefs. • Local government councillors .. Maintaining competitive, productive and sustainable farm businesses .. for example, give the trainer rights to power of attorney, a lien, and sale of the horse if payment remains outstanding. This Agriculture Note provides information for landholders and horse and pony .. Under common law, the owner of the mare owns any ..
Australian Government Disaster Assist - Latest news on floods in ..
90+ items – Australian Government: Attorney-General's Department .. Greater access to legal services for NSW Mid North Coast ..
an increase in maximum penalties for puppy farms operating illegally, .. illegal puppy farm practices and these changes to the law will send a .. Literature Review: A Brief National Assessment of the Agriculture Sector .. Administration, Attorney-General's Department, Robert Garran .. Subsistence farming and food security. 22 ... of essential services and restoration of law and order, ..
Rich Text Format - by CJR French - Succession planning in the small farming sector is still important .. as part of the Law Society of Western Australia's flying lawyer service in the ..
Finalists named in 2012 RIRDC Rural Women's Award | NSW ..
Corinne Annetts a goat farmer specialising in skin care products and .. Danica has been involved in agriculture for the last 15 years and in her early .. her law degree and becoming a lawyer specialising in employment, social ..
application of agricultural chemicals that may .. Common Law for adverse impacts on the health of their .. wetlands, organic farms and paddocks of .. Workplace Health and Safety Queensland, Department of Justice and Attorney-General ..
Bumper year for Victorian farm exports with $1.3 billion rise ..
Bumper year for Victorian farm exports with $1.3 billion rise. Monday, 30 January 2012. From the Minister for Agriculture and Food Security. Victorian food and ..
Attorney-General's Department .. 1.2.2 Agricultural and Veterinary Chemicals Legislation. 13 ... the application of competition law across all jurisdictions (including ... Australian Farmers Federation Grains Council and a past president of ..
and Food Security Minister Peter Walsh has urged dairy farmers to .. eight councils with extra financial assistance to help them enforce tough laws ..
INTERNATIONAL TRADE LAW SYMPOSIUM 4 - Attorney-General's ..
- Review of developments in international trade law and status report on Free .. The WTO Doha negotiations - what's on, what's not and what's the deal with agriculture? .. Scott Mitchell, Manager, Trade Policy, National Farmers' Federation .. Coalition reinvigorates Victorian Young Farmers. Sunday, 25 September 2011. From the Minister for Agriculture and Food Security, Implemented policies ..
Attorney-General Robert Clark today announced the appointment of Mr .. Graduating from Melbourne University Law School in 1969, Mr Guy ..
- Further copies of this paper are available from www.ag.gov.au/pps. .. In April 2006, the Standing Committee of Attorneys-General agreed to ... Queensland and Victoria specifically exclude 'farm machinery' and 'agricultural ..
Dr Thomas Faunce, Senior Lecturer, Medical School; Senior Lecturer, Law .. Mr Stephen Bouhwuis, Principal Legal Officer, Office of International Law, Attorney- .. Ms Virginia Greville, Special International Agricultural Adviser, Department of ..
-General Robert Clark has today expressed the Coalition Government's appreciation of the work .. CFMEU's history of defying the rule of law must stop ..
lawyer and Permaculture designer who is concerned about: .. A basic agricultural ethic that farmers have followed for centuries is that a farmer that owns something ... Beatrice Ludwig lic iur (Zurich) LLM (UNSW) Dip Law (Sydney). Solicitor .. Councils not farmers to slash roadside weeds: report - Premier of .. Councils not farmers to slash roadside weeds: report. Wednesday, 05 October 2011. From the Minister for Agriculture and Food Security. Minister for Agriculture ..
Farm Planning Out Of Pocket ApplB Info2011-12 - Department of ..
support farmers, their families and rural communities in preparing for future .. You are agreeing to allow the Department of Agriculture and Food Western Australia .. Lawyers. • Local government CEO's and Deputy Chiefs. • Local government ..
Rich Text Format - Native title is a complex area of new law that causes concern for .. producers in both the pastoral and agricultural regions in Western Australia. farming land. Buffer Zone. The proposed Buffer Zone of 1 km between a wind tower and an occupied rural residence and 2 km between a wind ..
national needs and gaps analYsis of on-farm irrigation information ..
addressed to the Commonwealth Copyright Administration, Attorney General's Department, Robert Garran Offices, .. Barton ACT 2600 or posted at http://www.ag.gov.au/cca .. permitted by law, the Commonwealth Government, RuralPlan Pty. Microsoft Excel32, 11/2777, 2011 Staff Survey - Office of International Law ... AJD - JPB - ELFS - Legislation scrutiny - Carbon Credits (Carbon Farming Initiative) Bill 2011 ..
Department of Agriculture and Food - Eucalyptus species and oil ..
by K Davis - 1989 - Fred Armstrong is employed by the Department of Agriculture, under the National ... A modified hay mower used by Mr Colin Dunham of Newdale farm, New Norcia ... In addition botanists, economists, accountants and lawyers on the staff at .. Generous producers rally for flood-affected farmers. Monday, 14 Feb 2011. Minister for Agriculture and Food Security Peter Walsh today praised the generosity ..
Northwest Carbon submission on Carbon Farming Initiative policy .. Farming Initiative and the relationship of this to the draft legislation. .. The policy as released is likely to be in contravention of the Attorney General's ... (b) the project is not required to be carried out by or under a law of the ..
A full list of the 85 Commonwealth laws amended is set out below. The laws amended .. Department of Agriculture, Fisheries and Forestry. Australian Meat and Live‑stock Industry Act 1997; Farm Household Support Act 1992 ..
Yarra Ranges ban on hail nets leaves farmers exposed - Premier of ..
Yarra Ranges ban on hail nets leaves farmers exposed. Thursday, 05 January 2012. From the Minister for Agriculture and Food Security. Yarra Ranges Council .. In December 1829, whilst establishing himself as a farmer, Stone accepted .. Attorney at Law, Conveyancer and Notary Public. ... Ag, Lakes, Perthshire. 711A/ ..
ICM Agriculture Pty Ltd v Commonwealth. High Court of .. Asaf Fisher Lawyer .. terms' for the purposes of s 51(xxxi) of the Constitution (ICM Agriculture Pty Ltd ... claimed that some or all of his interests in farming land, including carbon ..
-General. Brodie's Law – legislation passed to make serious bullying a criminal offence; Sentencing reform – legislation passed to abolish suspended ..
by R Holtzapffel - 2008 - - Copyright Administration, Attorney General's. Department, Robert .. publication to the maximum extent permitted by law. .. Foreword. Agriculture has always been subject to the limitations imposed by insect pests and weeds. .. production, GM cotton has contributed to the increased sustainability of cotton farming. The ..
the Department of Agriculture and Food Western Australia, Farm Business .. The business entity name is the "legal" name of the farm business. .. Lawyers. • Local government CEO's and Deputy Chiefs. • Local government councillors ..
National Circuit, Barton ACT 2600 or posted at http://www.ag.gov.au/cca. Disclaimer .. professional advice from your accountant, lawyer or other professional advisor before deciding to ... where information is authorised or permitted by law to ..
Department of Justice and Attorney-General .. Laws and prosecutions .. Quadbikes are a popular 'workhorse' on the farm. .. guidance on the management of risk of spray drift from the application of agricultural chemicals that ..
New support tools to help farmers and dealerships improve quad ..
Department of Justice and Attorney-General .. Laws and prosecutions .. dealers throughout Australia, as well as at agricultural industry events. Lady Northcote Recreation Farm near Bacchus Marsh has received a $95000 grant for repairs to a heritage building, Member for Western ..
Farm Planning Application Form A - Department of Agriculture and ..
- Pilot of Drought Reform Measures in WA — Farm Planning — Application Form "A" .. For the purpose of this application to the Department of Agriculture and Food, .. Lawyers. • Local government CEOs and Deputy Chiefs. • Local government ..
small or lifestyle farmers, but they share the characteristic .. agricultural sector in rural Australia has been .. to non-farming jobs or occupations which ... Commonwealth Copyright Administration, Attorney .. maximum extent permitted by law. Grant A. G. 888 Wellington street, Perth . Grant Alexander, farmer, Mandurah .. Gray R. Lawson, builder it contractor, Law- ler street .. Co. attorneys), Kalgoorlie ..
Attorney-General's Department, Canberra .. 4 Application form for a farm management deposit: information .. These regulations commence on the day the Taxation Laws Amendment (Farm Management Deposits) Act 1998 commences. .. Secretary to the Department of Agriculture, Fisheries and Forestry. Young farmers committed to a career in agriculture can now apply for Victorian Coalition Government grants of up to $10000 to enhance the ..
Australian Government Solicitor the leading lawyers to government. Legal briefing .. of water from the dam by farmers for agricultural irrigation, with consequent ..
Commonwealth Copyright Administration, Attorney General's Department, Robert .. incomes of small farmers and agricultural workers who are net food buyers. Funding injection for online law handbook. Monday, 05 December 2011. From the Attorney-General. Victoria's Law Handbook Online will continue to provide .. Coalition reinvigorates Victorian Young Farmers .. such as pit bulls are being urged to register their animals before tough new laws come into effect next Friday. OCVO Scanning Report 14 - Department of Agriculture, Fisheries ..
Insect farming has been suggested as a possible solution in a paper submitted .. The website of the Law Society of New South Wales advises that solicitors 'are ..
She has a strong interest in agriculture and primary industries based on her early experiences in the Murray mallee farming region, and through interaction .. A former lawyer and partner of a commercial law firm, she holds .. Mediation scheme provides extra security to farmers - Premier of ..
Banks and other creditors must now offer to mediate with Victorian farmers before foreclosing on their debts, Minister for Agriculture and Food ..
Lawyers. The primary purposes of VPELA are: (a) To facilitate liaison and .. Commonwealth and State Laws pertaining to Wind Farms ... "It is clear that the underlying agricultural productive capacity of the land subject to the wind farm ..
Marketing Agrifood Products to Food Processors - Department of .. Maintaining competitive, productive and sustainable farm businesses. agriculture .. and have specific laws for terms such as 'used by,' 'best before' and .. lawyer about different foreign legal systems and how they can affect .. The ACL and your farm .. The Australian Consumer Law in practice – a new national enforcement approach .. General Manager, Food, Department of Agriculture, Fisheries and Forestry, Craig Sahlin, Deputy CEO and .. Professor, School of Law, La Trobe University and David Coorey, Senior Lawyer, Consumer Law Team, ..
Numbered SRs/SLIs by Year · Future Law Compilations .. Administered by: Agriculture, Fisheries and Forestry. General Comments: Taking into account amendments up .. Attorney-General's Department, Canberra. Contents ..
"Young farmers under the age of 35 who are buying their first property will be exempt from land transfer duty on the first $300000 of agricultural .. Coalition delivers $2 million to enhance Victoria's popular farmers ..
From the Minister for Agriculture and Food Security. Access to fresh food and produce at Victoria's popular farmers' markets will be enhanced .. The Victorian Attorney-General, Robert Clark, today announced the .. rights and brings Victoria into line with international human rights law. The agents were, historically, held in high regard by the farming community, and .. Advising and assisting clients in the management of agricultural/pastoral or ... Local stockmen/women believe that making it law to inform a neighbour of .. Scope of Commonwealth environmental laws The Full Federal Court .. Scope of Commonwealth environmental laws .. occur as a result of the use of water from the dam by farmers for agricultural irrigation .. Senior Executive Lawyer ..
Mr Ryan said a new Livestock and Farm Crime Specialists Group would .. partnership between government, police and agricultural groups to ..
Non-Forestry Managed Investment Schemes Issues Paper - Topic 1 .. Some believe MIS participants have a tax advantage that traditional farmers do not .. water and allows MIS operators to invest in sub-optimal farming activities. .. Others consider that the tax law applies in the same way to traditional farmers as it .. This gives the MIS operator an irrevocable power of attorney to do practically .. Rural Affairs and Transport References ..
upfront payment the lawyer's fee was $2500—for a $1500 payment! This is a .. Our members are the state farming organisations, commodity councils .. mining but mining—and they now face a $2 billion law suit. What do ..
From the Minister for Agriculture and Food Security - Premier of .. Coalition Government puts the buzz back into agriculture. Friday, 13 May .. Victorian Farmers to benefit from Coalition's new debt mediation service. Friday, 06 ..
common law (such as a corporation sole and corporation aggregate); statute ... a person who holds an enduring power of attorney to act on behalf of another .. internet provider; wheat farming; beef cattle and wheat farming; gravel .. agriculture; forestry; fishing; mining; manufacturing; electricity, gas and ..
-General Robert Clark today announced the appointment of lawyer Ian Watkins to the Magistrates' Court of Victoria. Mr Clark said Mr Watkins brought a ..
Farm dogs rounded up to explain Victoria's weather - Premier of ..
From the Minister for Agriculture and Food Security. Man's best friend is being used to inform farmers about the complexities of weather and .. The AVC Act makes certain Commonwealth laws about agricultural and veterinary .. Queensland in the Department of Justice and Attorney-General .. Most rural properties, farms and chemical application contractors ..
a legal opinion submitted to the Attorney General or the Crown Solicitor under section 33 of the ... (t) Belgenny Farm Agricultural Heritage Centre Trust,. (u) The ..
By receiving the common law from England, Australia became part of an .. Some Australian lawyers who respond eagerly to new forces of globalisation, and ... R v Ministry of Agriculture, Fisheries and Food; Ex parte National Farmers Union ..
Department of Agriculture, Fisheries and Forestry: Administration of ..
Law Enforcement Ombudsman, to investigate conduct and practices of the Australian Federal .. Government, available from the Attorney-General's Department. ... For the purposes of subsection 1.3(g), farmers whose sole source of irrigation ..
CFMEU's history of defying the rule of law must stop - Premier of ..
CFMEU's history of defying the rule of law must stop. Thursday, 02 June 2011. From the Attorney-General, From the Minister for Employment and Industrial .. Rogue operators of illegal puppy farms to be shut down - Premier of .. Rogue operators of illegal puppy farms to be shut down .. "The community has rallied for these changes to the law which will protect animals ..
State Farming Organisation .. firm of solicitors and business lawyers. .. business, such as the National Farmers' Federation and State farming organisations. Primary Producer/Farm Plate Concessions. Transport Operations .. of raw material for clothing or food, derived from agriculture or dairying or fishing or raising of .. I would like to thank the James Cook University School of Law and .. 2006 with devastating effect on the agricultural industry around Tully and Innisfail. .. is being considered by the courts is the area of wind farm applications. Parliament of Australia:Senate:Committees:Economics Legislation .. The Queensland Minister for Agriculture, Food and Regional .. 3.5 Some state farmer groups such as the South Australian Farmers .. However the creditor could, as an alternative, simply proceed to use legal recovery processes to .. The Attorney-General's Department, which has overall responsibility ..
Julia Morris Secretary House of Representatives Standing ..
From the perspective of foreign investors, Australia's agricultural sector has been an attractive place to invest. .. The National Farmers Federation (NFF) agrees that foreign .. 3.27 As well as concerns raised by Treasury, law firm Clayton Utz ... One thing is that, whilst I am not an international trade lawyer, .. The law is well settled around the adoption of this model of federal powers. .. 1.5 As noted in the correspondence from the Attorney-General's .. The need to balance the claims of the environment against the needs of agriculture and other .. 1.22 In that context, Mr Matt Linnegar from the National Farmers' .. Frequently asked questions - Dangerous goods - Workplace Health ..
Department of Justice and Attorney-General .. Laws and prosecutions ... If the property has an area of 5 ha or more, is used for agricultural, horticultural, floricultural, aquacultural or .. Many farms would meet this definition. Australia's crops and pastures in a changing climate – can ..
by J Glover - 2008 - - Commonwealth Copyright Administration, Attorney. General's Department .. maximum extent permitted by law. .. The adoption of no-till farming practices also ..
From the Minister for Agriculture and Food Security. Labor's carbon tax will hurt Victorian food producers with some dairy farms facing a ..
Victorian Farmers to benefit from Coalition's new debt mediation ..
Victorian Farmers to benefit from Coalition's new debt mediation service. Friday, 06 May 2011. From the Minister for Agriculture and Food Security, From the ..
by MEIM Enterprises - 2011 Farm family support assists farmers in the pilot region who require short-term income .. of Agriculture and Food Western Australia (DAFWA) that the farm .. Copyright Administration, Copyright Law Branch, Attorney-General's ..
MW Law (Greensborough) Pty Ltd .. solicitors, by a date not later than two months from the date of .. Victoria, farmer, deceased. Creditors ..
Stock theft provisions in the Criminal Law Amendment Bill 2002 (Qld) (PDF 131kB) .. and Dominic Talary, 2001; A review of the literature on agricultural crime .. Australian Government Attorney-General's Department, National ..
Only half of all crime experienced on farms was reported to the .. The entire rural community and the wider agricultural industry feels the effects of farm crime. ... Jarred, W. 2002, 'Stock theft provisions in the Criminal Law Amendment Bill .. This project was funded by the Attorney General's Department, the ..
- Like any analysis of adoption of new technology, farmers undertake .. opinion from the Australian Government Solicitor which would be further tested when legal .. not an acceptable practise in standard law and it would leave farmers vulnerable to .. International Treaty on Plant Genetic Resources for Food and Agriculture. Namoi Cotton Farmers Pty Limited. Records related to the .. Publications) Award 2000. Clerical and Administrative Employees Legal Industry (State) Award ..
Administration, Attorney-General's Department, Robert Garran. Offices .. Agricultural opportunity areas, as amended by Makira/Ulawa Province Agriculture Division, 1980. 68. Table 5.2 .. on interventions in the law and justice sector, ..
Department of Agriculture, Fisheries and Forestry - Parliament of ..
Australian Bureau of Agricultural and Resource Economics. (ABARE) .. 142. RPI 08: SA drought: role of SA Farmers Federation. 143 .. Government Solicitor, and any others)? .. Does the Department/agency have an in-house legal section? Precision Agronomics Australia provides a fully integrated service to farmers in .. for improved productivity and efficiency across WA's agricultural sector. .. Wrays Lawyers is a full service Intellectual Property law firm which, together with Wrays ..
Online; In your public library; Lawyers' Tools .. conservation, protected animals and species, pollution, agricultural chemicals, crops, livestock, ..
- The spin‑off activities from agriculture, from farming in its various forms, are much .. My view would also be that the laws and the very efficient local government, .. In those days the only people starting to grow grapes were doctors, lawyers or ..
by O Mewett - 2007 - - Commonwealth Copyright Administration, Attorney. General's Department .. maximum extent permitted by law. Postal address: .. Plant molecular farming offers many opportunities for Australian agriculture, including: the diversification of ..
Attorney-General Robert Clark today announced the appointment of .. Court Prize and a Masters Degree in Law from Harvard University. by A Hogan - 2008 - Administration, Attorney General's Department, Robert Garran Offices, National Circuit, Barton ACT .. to the maximum extent permitted by law. ... derived from ABARE farm surveys for broadacre agricultural enterprises across Australia for ..
"There are almost 5500 dairy farms operating across Victoria, making it the state's largest agricultural employer and the biggest exporter out of ..
farming within a business enterprise structure. • banking .. providers, including accountants, lawyers, ... All are equal before the law and are entitled without any ..
2.6 Once declared, eligible farmers in the EC-declared area may be .. Figure 1: Australian Bureau of Agricultural and Resources .. Treatment of government rural support schemes under bankruptcy law .. 2.25 The Attorney-General's Department described how property is treated under the Bankruptcy Act: .. The several modes of Selection for which the law provides are — (1) Agricul tural Selections, i.e., Agricultural Farms, Perpetual Leases, Agricultural Homesteads, .. duly constituted attorney, and must be accompanied by the prescribed deposit ..
Agriculture and ecosystems management (Proceedings of OECD ..
Use and Utility of Soil Health Indicators Anthony McAvoy, Aboriginal Lawyer, .. The regulation of Danish agriculture in order to diminish de-oxygenation ..
parties and programs supported by banks, agricultural consultants, .. to receive vouchers of up to $1 500 to help pay for an accountant, lawyer or financial ..
by FM Taylor - 2004Emergency. Management Attorney-General's Department .. plant pest and disease emergencies affecting agriculture ... legislation—supporting laws and ..
water are all part of farming in Australia. At the same time, Australian agriculture faces the most variable climate of any of the world's major agricultural ..
Attorney-General Robert Clark said funding of more than $9 million provided in the budget will enable Community Legal Centres to continue to .. Coalition Government provides $65 million for agriculture and ..
Minister for Agriculture and Food Security Peter Walsh said the .. has also allocated $1.2 million to continue the First Farm Grant program and a .. FARMERS' RELIEF ACT. Act No. 33, 1932. (1) This Act may be cited as the " Farmers' Relief .. poultry-farming and bee-farming), agricultural, ... statutory attorney and agent of the farmer, sell any of ..
status symbol just to belong to a farming family, or to have relatives on and .. agricultural research, work on farms or in the manufacturing ... careers in finance, communications, law or design, and are embraced by .. markets and commodity prices, lawyers, computer scientists and technicians – an ..
by K Sampford - Information on legislation, case law or legal policy issues does not ... been applied in Queensland in Graham v The Royal National Agricultural and Industrial ... I have sought, with the assistance of the Attorney-General and his department and .. Morley, Peter, "Farmers keep bull bar – Legal protection stays for stock that .. Exposure Draft - Amendments to the Tax Law Provisions and the ..
by an FMD provider to be provided to the Agriculture Secretary. The purpose of the Income Tax (Farm Management Deposits) Amendment. Regulations 2011 ..
expectations exceeding current agricultural practice and standards .. Post World War II changes in agricultural systems saw small, family owned farms .. Animal law has been an emerging area in North America since the 1980s and there .. of 58000 sheep and over 5000 subsequently died, the NSW Young Lawyers ..
Department of Health and Ageing - Submission from Beatrice ..
A basic agricultural ethic that farmers have followed for centuries is that a farmer that owns something that is .. Beatrice Ludwig lic iur (Zurich) LLM (UNSW) Dip Law (Sydney) Solicitor, Concerned Consumer and Permaculture Designer. Forages and farmers - Australian Centre for International Agricultural ..
reproduction and rights should be addressed to the Commonwealth Copyright Administration, Attorney-General's .. Forages and farmers: case studies from South-East Asia. .. men and women, who transformed marginal farming into a productive, ... Mrs Lau (above) and Mrs Dou are neighbours and sisters-in-law in Ngoi ..
from the Attorney-General's Department. .. The ASCC, however, is not a regulatory authority and does not make or enforce laws. OHS in ... Code of Practice for Risk Management for Agricultural Shows and .. Child Safety on Farms Checklist ..
Minister for Climate Change and Energy Efficiency : Media releases .. The Carbon Farming Initiative (CFI) will set out what farmers, foresters and .. change, environment and development lawyer at Minter Ellison in Sydney. .. field and considered an expert in the field of climate change law. Australian Institute of Criminology - Trends & Issues in Crime and .. The National Farm Crime Surveys and other research into farm crime have .. In 2001, the Australian Institute of Criminology, funded by the Attorney General's .. by law to have formal identification on farm machinery and equipment. .. The limited knowledge of farming and agriculture by police has also ..
Parliament of Australia:Senate:Committees:Agriculture and Related ..
Return to previous page | Senate Select Committee on Agriculture and .. Western Australia Farmers Federation (Inc.) NEWMAN, Mrs Julie .. Macpherson and Kelley Lawyers; WILSON, Mr Robert Thomas, .. Cambia; Director, Initiative for Open Innovation; and Professor of Science, Technology and Law, ..
of CSG infrastructure into farming areas and flood plains. .. The landholders, and indeed local lawyers have been left very unaware .. At present, due to privacy laws, if a shire council was advised of the license or proposed ..
An assessment of the impact of climate change - Department of ..
by K Hennessya - 2008 - - Commonwealth Copyright Administration, Copyright Law Branch, Attorney-General's. Department .. agricultural regions have been drought declared11 at ..
Attorney-General Robert Clark today announced the government has appointed retired Supreme Court judge, Hon Frank Vincent QC, to inquire ..
Attorney General. Department of Justice .. Minister for Agriculture and Forestry Department of Agriculture. Age of Majority Act 1972 ... Child Support (Adoption of Laws) Act. 1990. Attorney General ... Fairbridge Farm School Act 1948. Premier .. The following is an overview of our ﬁve year business experience as farmers .. No documentation suppiied by National Foods lawyers to verify the sale of the .. In 1893, the NSW Government established a co-operative farm for unemployed .. was administered by the Department of Attorney General and Justice. .. and young men from Britain to be trained in farming and agriculture. .. proclaiming public holidays and prosecuting industrial law breaches where ..
Report on Investment in the Indonesian Food & Agriculture Sector. Page 95 .. Meat, grains, milk and seafood accounted for 73% of Australian farm and fish ... One of Australia's top corporate lawyers, with many years' experience in Indonesia, ..
"Law and order continues to be a top priority of this government as we work closely with Victoria Police to reverse Labor's soft-on-crime ..
Drought Reform Pilot 2011-12 · Organic Farming · Seasonal Update · Sensitive Sites · Small Landholder .. Dealing with Drift and the Law in Western Australian. Deregulation and National Competition Policy and its Effect on Rural ..
by S Smith - 2001 - - A case study of the deregulation of the dairy farming industry is presented as an .. The first national law dealing with restrictive business practice was the .. the Commonwealth Attorney-General proposed a Restrictive Trade Practices Act, and this ... For instance, the combined share of agriculture and mining contribution ..
by Y Tan - 2009 - - Commonwealth Copyright Administration,. Copyright Law Branch,. Attorney-General's Department .. The Department of Agriculture, Fisheries and Forestry (DAFF). • The Australian Tourism Export .. Working in Farm and Non-Farm Jobs. Appendix B: Public consultation - Research report - Bilateral and ..
Department of Agriculture, Fisheries and Forestry. 6, DR95 .. National Farmers' Federation .. Office of International Law, Attorney-General's Department. DR83 ..
PT LUCAS (Lytton—ALP) (Attorney-General, Minister for Local .. Corrective Services Act 2006, Criminal Code, Criminal Law (Rehabilitation of Offenders) Act 1986, ... conservation of agricultural land, which applies to a broader range of .. This means that farmers on strategic cropping land will be able to ..
AUSTRALIAN POSITION STATEMENT ON THE EXPORT OF ..
Commonwealth Copyright Administration, Attorney General's Department, Robert Garran .. The Australian Government Department of Agriculture, Fisheries and .. These Australian Government laws cover only the exporter, Australian .. farming industries and animal welfare organisations, including RSPCA Australia. Attorney-General's Department, Robert Garran Offices, National Circuit, Barton. ACT 2600 or posted at ... Phu Lagoon, and for grow-out farming in Cam Ranh .. Reforms to Australian Consumer Law don't go far enough - Premier ..
Recently-approved changes to Section 86 of the Australian Consumer Law (ACL) are a step in the right direction but do not yet strike the right ..
Aboriginal affairs · Agriculture · Arts · Children and early childhood .. New laws passed by the Victorian Coalition Government .. This Act outlaws puppy farms and similar establishment for the intensive breeding of cats. .. This Act makes minor technical amendments to three Acts within the Attorney-General's portfolio. Matthew Storey is the Senior Lawyer, Aboriginal Land Division of the Solictor for the NT. .. the Work Health Advisory Council and the Royal Agricultural Society, Kezia .. Luke Bowen was born and raised on a mixed farm in Western Australia, ..
Building Our Rural and Regional Communities - Ministerial Statment ..
MINISTER FOR AGRICULTURE, FISHERIES AND FORESTRY. AND .. Attorney-General's Department. 3-5 National Circuit. BARTON ... immense network of farmers, miners, regional businesses, and tourism operators to ensure that ... The Government is providing $2.5 million in 2009-10 to the Law and Justice Advocacy ..
Administration, Attorney-General's Department, Robert Garran. Offices, National Circuit .. Cash income and subsistence agriculture as the twin pillars of sustainable rural livelihoods. 4. 2.4 ... on interventions in the law and justice sector, machinery of .. component of traditional farming systems and diets. The nuts are low ..
Farm, Senior Compiiance Office in the Austraiian Quarantine Investigation Services. (AQIS) say en .. Lawyers Telephone (O7) 3226 6333. 'Naterf::ent Place ..
Minister approves Chepstowe wind farm and responds to community ..
"The independent assessment of the Chepstowe wind farm found that the proposal is consistent with the Victorian Coalition Government's wind ..
All Categories, - B and Bs/Farm Stays, - Caravan Parks and Camping .. Sporting and Camping Goods, - Toys and Games, - Agriculture, - Fishing .. 4575, Annette Law .. Bakers Lawyers, Level 1 94 Memorial Avenue ..
Australia's key national environment law is the Environment Protection and .. and agricultural organisations can contact the National Farmers' Federation .. to Commonwealth Copyright Administration, Attorney General's Department, Robert .. The NSW Young Lawyers Environmental Law Committee (the ..agricultural activities will be excluded from the scheme until at least 2015. .. emissions from deforestation and farming land use will not enter into the CPRS plan ..
NATIONAL ENVIRONMENTAL LAW ASSOCIATION. CANBERRA .. for industrial, domestic and agricultural production. Any impact on the .. be given in priority to the farmer who could make the most beneficial use of it. Australian Government - Department of Agriculture, Fisheries and Forestry .. Middletons Lawyers .. Cost effective and cost justified: Consistent with law, Agencies must consider costs and benefits and choose the least burdensome path. .. to clean the milk vat on a dairy farm and the same formulation used to clean the milk ..
Ms Alice Palmer, Solicitor, Administrative Law and Human Rights .. Western Australian Department of Agriculture and Food .. National Farmers Federation ..
For more information, go to the Attorney General's Department on foreign bribery .. under local law and that you understand fully the implications of any agreements in the local context .. Putin Presses for 'Full-Cycle' Farming .. It is a story of surveyors, administrators, law makers and how they have affected ... Each time property was sold the buyer's lawyer would have to examine the whole .. As a farm of 80 acres was found to be too small, the size of sections and, ..
Submission: Inquiry into Climate Change and the Australian ..
by J Williams - 2008 - richard harvey AM, agricultural scientist, farmer and former irrigator, Lake. Alexandrina. .. ilona Millar, lawyer, Senior Associate, Baker & McKenzie. Assoc. prof.
Modelling the Effects of the EU Common Agricultural Policy - Staff ..
by C Costa - 2009 - - Administration, Attorney-General's Department, 3-5 National Circuit, Canberra ACT 2600 or posted at .. higher output of the farm and food processing sectors in the European Union, of about 8 and 6 per .. EU legal framework. In this study ..
grant if any of their farm enterprises are receiving a Building Farm. Businesses grant. .. the Department of Agriculture and Food Western Australia, Farm Business Development Unit. It is a grants .. in accordance with relevant laws and regulations. .. Lawyers. • Local government CEO's and Deputy Chiefs ..
Attorney General's Department - 6 December 2010 - Commonwealth ..
We're well aware that a number of farmers who were expecting a .. at a number of levels including law enforcement cooperation and for ..
solicitors, by 20 March 2012, after which date they will convey or distribute ... introduce into Council's General Local Law 2003 No. .. Wonthaggi, Victoria 3995, farmer and grazier .. I, Peter Walsh, Minister for Agriculture and ..
Marketing Agrifood Products to Food Service - Department of .. Maintaining competitive, productive and sustainable farm businesses .. .daff.gov.au/agriculture-food/food/publications/foodmap-a-comparative-analysis .. and have specific laws for terms such as 'used by,' 'best before' and 'packed on. .. lawyer about different foreign legal systems and how they can affect ..
agricultural industries. Farming and. Environmental Rules. - land, water, air, noise. - policy aims, law trends. - farming rights and futures. - triple bottom line calls ..
by R Guthrie - - agriculture. Some case law indicates that the latter element has been a factor relevant to court decisions not to impose penalties on farmers whose family ..
Agriculture and Law. (AgLaw at UNE). Agricultural Supply Chains. - commerce-law frontlines. - farm <-> trade <-> consumer. - selling systems Australia, export ..
Study Farm Management: agriculture studies for profit and .. Improve your capacity to more effectively manage a farm or agricultural enterprise .. terminology and record keeping; Contract law; Elements of a simple contract ..
.. Wales, AUSTRALIA. You are here: UNE Home / Subject Areas / Sustainable Farming .. Bachelor of Environmental Science/Bachelor of Laws ..
Research student profile: Mirja Guldner - Faculty of Agriculture, Food ..
After completion I worked as agricultural consultant, responsible for the implementation of the EU-law about certification in Organic Farming. Home > Agriculture > Plant/Animal Production > Mulesing in sheep - legal, .. social, historical and economic factors on sustainable agricultural production ..
E LAW | The Impact of TRIPs on Agricultural Economies in the ..
"By legal sleight of hand, the living organisms themselves are deemed inventions ... The profits of the agricultural firm are secured through the farmer's need to ..
Finance; Off Farm Investment; Computer Cash Book. Farm Business Environment. Agricultural Law; Taxation and Estate Planning; Agricultural Economics and ..
cut significantly into niche-farming profits;. • detract from time better spent on other activities;. • make it more difficult to restore natural habitats on your land; ..
by R Honey - 2007 - Giumelli vividly exemplifies the legal problems which can arise from an ordinary family dispute, when it takes place within a farming family. The Giumellis were ..
Can carbon farming change the face of rural Australia? .. for climate change (with Lee Godden and Jackie Peel at the Melbourne Law School). .. to focus on aspects of agriculture, natural resources, business and law. .. Managing farm businesses, family properties and large corporate .. CARBON CREDITS (CARBON FARMING INITIATIVE) BILL 2011 ..
General outline and financial impact Objectives of the Carbon Farming Initiative ... Explanation of new law Coverage Sequestration Projects 1.8 This scheme .. The Australian Centre for Agriculture and Law · Armidale, New South Wales, AUSTRALIA. You are here: UNE Home / AgLaw ..
Deputy Director - Australian Centre for Agriculture and LawDeputy Director, Australian Centre for Agriculture and Law .. the Social Licence of Farming, Williams, J.A. and Martin, P.V (Eds. ), CSIRO Publishing (2011). This conference considered the impact of intellectual property upon farming, agriculture and biotechnology. It considered the various interests of farmers and ..
A Glossary of Australian Agricultural and Farm Business ..
A Glossary of Agricultural Terms, Programs and Laws A product of the Congressional Research Service, Library of Congress at the request of the U.S. House ..
Paul Martin Finding a Partial Cure for Rural Policy Insanity Australian Farm Policy .. from the Australian Centre for Agriculture and Law and Marsden Jacobs ..
by N Durrant - 2011Legal Issues in Carbon Farming: Biosequestration, Carbon Pricing and Carbon. Rights. Dr Nicola Durrant. *. Published in Climate Law Volume 2, Number 4, ..
Senior Researcher - Australian Centre for Agriculture and Law Senior Researcher, Australian Centre for Agriculture and Law .. (2011) Defending the social licence of farming: Issues, Challenges & New ..
by V Naidu - 2002 - 5.3 Farmers' views on future cane farming and agriculture ... 15. 6. ... 1) That ALTA should remain as the governing law covering all agricultural leases; .. Looking back, now 8 years ago, the Bachelor of Science in Agriculture was .. I studied how soil salinity altered the microbial composition of soils on cotton farms. .. in a broad range of areas such as finance, business law and economics and ..
by N Gunningham - 2002safety in the agricultural sector, is the subject of the remainder of the paper ... Vehicle (ATV), a farmer or supplier may assume the legal responsibilities and .. CARBON CREDITS (CARBON FARMING INITIATIVE) ACT 2011 - SECT 5 .. "common law holders" , in relation to native title land, has the same meaning as in ..
the changing role of the family farm in Australian agriculture .. Liebig's Law: growth is controlled not by the total of resources available, but by the scarcest ..
.. change (with Lee Godden and Jackie Peel at the Melbourne Law School). .. Carbon farming – or biosequestration – seems to be the only .. Adjunct Associate - Australian Centre for Agriculture and Law Adjunct Associate, Australian Centre for Agriculture and Law .. Mark's study at Oxford was exploring the linkage between on-farm management ..
JP Clement for assistance with legal aspects, N. Coles for assistance with editing, D. ... Farm dams in agricultural areas are usually excavated tanks with batter .. THE NEW AGRICULTURAL BASIC LAW AND TRADE POLICY ..
by M Homna - 2004 - given to farmers in hilly and mountainous areas. The new Basic Law for Food, Agriculture, and Rural Areas. On 12 July 1999 a new Basic Law for Food, .. AGRICULTURAL TENANCIES ACT 1990 - As at 9 November 2011 ..
"farm" means a piece of land not less than 1 hectare in area occupied or used by a ... of law is also available under that Act. AGRICULTURAL TENANCIES ACT ..
China's Agricultural Restructuring and System Reform under Its ..
by D Ying - - (Department of Policy and Law, Ministry of Agriculture, China). Abstract. This paper .. Before the reform, farmers' income increased at a very slow pace. After the ..
Other laws, aimed at tenant farmers, enforced measures to eradicate agricultural pests and diseases and limit the hunting of indigenous fauna. This battery of ..
Australia's organic trilemma: public versus private organic food ..
- by S Hall - - It outlines the policy context of organic agriculture and surveys the remedies ... The US laws curtail private organic certifying agents' ability to differentiate their ..
on the intersection between land use, agrarianism and the law provided .. environmental crisis and the loss of healthy farming land.3 Jason Clay notes that ..
CSU Approved: Fields of Research - Research - Charles Sturt ..
0701 Agriculture, Land and Farm Management 070104 .. 070107 Farming Systems Research. 0702 Animal .. 180119 Law and Society ..
All eight sons became successful businessmen, tradesmen or farmers, and four of .. Despite legal advice that the Excise Tariff (Agricultural Machinery) Act was ..
Certain records must be kept and payments made, to comply with the law. .. The local department of agriculture (ie. primary industries), may be the best source ..
Of the Law of the Increase of Production from Land - The Principles .. This general law of agricultural industry is the most important .. of them, the owners or farmers of those lands could undersell all others, and ..
Accounting and Finance; Agriculture and Agronomy; Animal Related Studies; Arts .. Technology; Physical Sciences; Plant Related Studies; Social Sciences and Law .. Meat Science · Poultry Science · Sustainable Farming ..
Robertson served a four-year apprenticeship in agriculture in Scotland and took a farm, but lost it when the Corn Law caused prices to fall. He migrated to Van ..
Farms, Rivers and Markets research advanced Australia's capacity to do more with less water in agricultural and environmental systems under a highly .. Business and Economics, and Law, Monash University's Faculty of .. The Australian Centre for Agriculture and Law · Armidale .. links with environmental agencies and sustainability oriented farming organisations. He has a law degree and an Honours degree (H1) in Psychology. He has lectured in research design and statistics, and has a farming .. Some important aspects of law and social license that could be explored in these sessions include. mining/farming, water and land access (eg ..
by M Smith - - systematically accounted for the influence of the English Corn Laws, operating .. in agriculture by protecting farmers until they could adjust leases and their cost .. Seasonal migrant labour: a boon for Australian country towns? by P Mares - - more attractive casual employment prospects than agricultural labour. ... The scheme offers a legal route to farm jobs that would probably otherwise be filled ..
Official Publications: Research Expertise and Publications ..
Bashir, M.K., Mehmood, Y. and Hassan, S. IMPACT OF AGRICULTURAL CREDIT .. M.J. and Wong, M.T.F. Integrating farmer knowledge, precision agriculture tools, .. Llewellyn, R.S., Whitbread, A., Lawes, R., Raisbeck-Brown, N. and Hill, .. The Australian Centre for Agriculture and Law has collaborative .. with a number of farming, environment and government organisations. lynette.abbott - UWA Staff Profile > The University of Western .. Address: Faculty of Natural and Agricultural Sciences The University of Western Australia .. In: Organic agriculture: A global perspective. Eds. Paul Kristiansen .. ENVT2210 Environmental Policy and Law ENVT3320 Climate .. Improve your capacity to more effectively manage a farm or agricultural enterprise which services farms. Farming is just as much about management as it is ..
Marcus opens the door to 'Elvis'! monoculture, was a sustainable farming .. the last time we speak about farming. ... Law is not unlike farming as it requires not only the technical knowledge ..
World Trade in Environmentally Sustainable Agriculture Products ..
by JR Pillarisetti - 2002 - - associated with pollution from conventional farming (Soil Association 2001). .. The year 2000 saw significant consumer protest and legal actions against several ..
'JAPAN INC.' IN THE AGRICULTURAL SECTOR: REFORM OR ..
by AG Mulgan - 2004 - short, agricultural policy is effectively decided by a tripartite power elite .. Nokyo's corporatised relationship with the government includes a legal right to make ..
Graduate Diploma in Legal Practice, 2006, Law Society of South Australia. .. 'Dam safety management for sustainable farming businesses and catchments', ..
"This UWA Future Farm will help us to deliver .. and international research into future farming ... a sustained 15 years program of water resources law reform. Print page | Bachelor of Ecological Agricultural Systems | Charles ..
extensive and diverse farming facilities on a 1300ha university farm incorporating precision .. AGR306 Biological Farming Systems .. LAW110 Business Law ..
5th World Conference on Conservation Agriculture, incorporating ..
Law · ANU College of .. Home - Events - 5th World Conference on Conservation Agriculture, incorporating 3rd Farming System Design ..
With much of the population still depending on subsistence farming, Vietnam has .. Economic reforms are transforming Vietnam from an agricultural economy to an .. This involves assisting the banking, legal and accountancy sectors to meet .. THE CHANGING ECONOMIC PERFORMANCE AND POLITICAL ..
by Y Godo - 2004 - Agricultural Basic Law, the MAFF stated that the promotion of large-scale farming was its top priority. The MAFF has always favoured small farming communities .. So you're interested in studying Agribusiness or Agricultural Economics? .. From the farm level through to multinational companies, our graduates are .. areas of accountancy, agricultural economics, resource economics, law, ..
Accounting, auditing, taxation, insolvency, corporations law, superannuation, .. Database of citations covering all aspects of agriculture, including animal and plant .. forestry, aquaculture and fisheries, farming, agricultural economics, food and ..
Activity 4: Ancient law Hammurabi's Code Hammurabi was the King ..
Rich Text Format - Babylonia depended on its agriculture - but it was not just a farming area. Its city of .. In about 1780 BC, Hammurabi made a code of 282 laws. Carved in stone ..
Social principles for agricultural extension to assist in the promotion ..
by F Vanclay - 2004 - - be regarded as 'a general law or doctrine that is used as a basis of reasoning or a .. through reading farming literature and through exposure to other media. "business of primary production" means the business of agriculture, pasturage, horticulture, viticulture, apiculture, poultry farming, dairy farming, forestry, or any .. SEEDS, WEEDS AND GREED: AN ANALYSIS OF THE GENE ..
by N ROGERS The Canadian government's agricultural department has recently reported that genetic ... The legal status of the farmer's right to save seeds is critical in any .. The term used to describe the common law rights of Indigenous people is Native .. Under this system, a person wishing to carry out agricultural practices could ..
Health and Farming: Call for Abstracts - National Institute for Rural ..
Abstracts are now open: Health and Farming…connect the dots! Through lens or loudspeaker we ask you to share your agricultural vision The second biennial National Centre for Farmer Health .. Law · ANU College of ..
agriculture and our choice of plant-derived foods. .. allowed in organic farming. .. food laws. For Prince Charles whether to pursue GM technology is therefore of ..